People are now able to search for anyone’s name in the Panama Papers through a database provided by the International Consortium of Investigative Journalists on May 9. 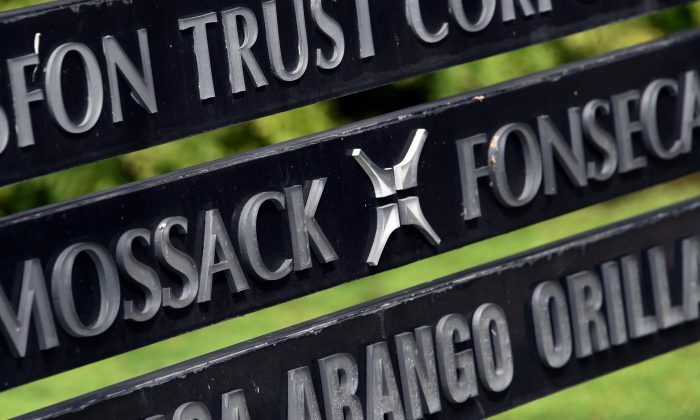 The Mossack Fonseca data leak released by the International Consortium of Investigative Journalists (ICIJ) and other news organizations last month contains 11.5 million records from the Panama-based law firm. The data breach named 12 world leaders and 140 other politicians in connection to offshore companies in 21 tax havens. The names included Vladimir Putin, Argentine president Mauricio Macri, soccer superstar Lionel Messi, and the Prime Minister of Iceland, who stepped down shortly afterwards. Documents include emails, share certificates, and passports. The ICIJ provided the searchable database containing more than 200,000 offshore companies found in the Mossack Fonseca leak to the public at: https://offshoreleaks.icij.org, although at first the site seemed to crash a few minutes after it went live. According to the ICIJ, the database is not a “data dump” of the original documents, but is instead a careful release of basic corporate information. Since many records include personal information, like passport numbers, bank account information, telephone numbers and addresses, it may not all be shown to the public. The searchable application allows the public to search for a specific individual and see if that person appears as an owner, director, or shareholder of an offshore company according to McClatchy DC, who worked in the Panama Papers project. The name of that company, the listed address and the tax haven where it is registered will be provided. The public will also be able to see its relationship to other companies or people in the data. If a name that is searched does not appear, it doesn’t mean the person is not in the Panama Papers. Many older records in the data leak are in formats that are not as easy to use with modern tools, according to McClatchy. There is also a problem with bearer shares, which is a type of anonymous share ownership that is banned in America and most countries. Bearer shares were common until 2007, and Panama has just recently cut down on them. The Mossack Fonseca data shows 16,301 active bearer-share companies in Panama as of August 2013. Even if a name searched appears in the database it doesn’t mean the person is committing a crime. There are legal reasons to use an offshore company. Some reasons include: preserving anonymity while buying a company or real estate to avoid price inflation, or to ease the transfer of foreign-owned property. An offshore might also be used for inheritance purposes. Although there is nothing illegal about moving money offshore, the secrecy of creating shell companies through firms like Mossack Fonseca has been seen as a problem because of lack of transparency. Offshore companies may also be used to evade taxes. What do you do if your name pops up in the database? You might want to make sure you have declared ownership in your offshore company to the Internal Revenue Service.